Thanks to the support of several key blindness organisations, soon blind and vision impaired people will be able to gain access to Microsoft PowerPoint through NVDA, enabling them to both create and present presentations along with their sighted peers. 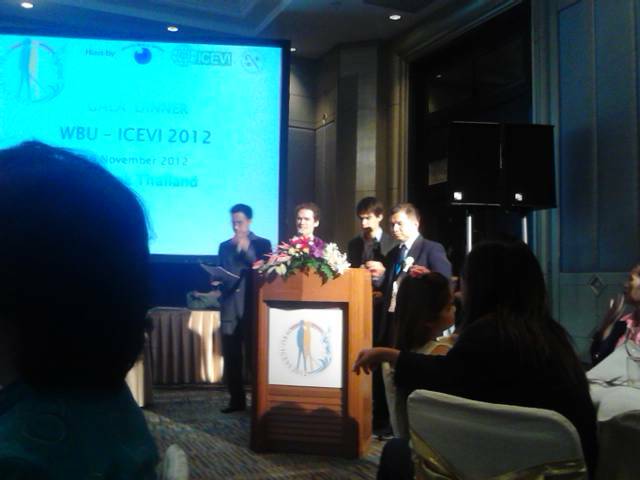 People have long waited for PowerPoint support in NVDA, but it was at a gala dinner held at the WBU-ICEVI 2012 General Assembly in Thailand where it all became possible. Over US$40,000 was contributed that night to add support for Microsoft PowerPoint to the NVDA screen reader. Funding was pledged from blindness organisations all over the globe, including from Australia, the U.s, Israel, Germany, Spain, Thailand and others. It was an extremely proud night for us to see the blindness community and its organizations pull together and take ownership of equitable access to technology. NVDA may have been created by NV Access, but it is most certainly now owned by the blindness community at large. Support for Microsoft PowerPoint will be included in the next release of NVDA (2013.1) which is due out very shortly. We would like to thank the following organisations for their financial contribution to this work: National Organization of Spanish blind people (ONCE), Vision Australia, National Federation of the Blind (U.S.), Christian Foundation for the Blind (Thailand), Thailand Association of the Blind, Overbrook school for the blind, The Society of Blind and Dyslexic Students in Israel, and RNIB.